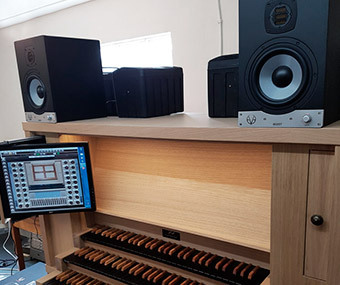 Hauptwerk Systems UK is a firm offering complete installation of virtual church organs, designed to emulate and play like a real church pipe organ, sampling and modelling every aspect of the physical properties of this magnificent celestial instrument. 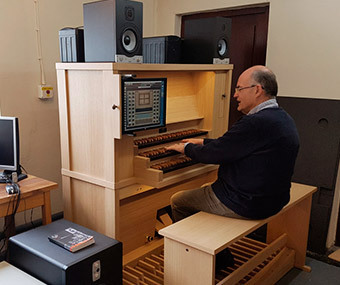 The complete system would typically include the Hauptwerk Virtual Pipe Organ software running on a very high performance computer and the physical midi keyboards, pedals and stops which control the software. The great benefit of a virtual system is that the software can offer playback and control of famous pipe organs found across the world. 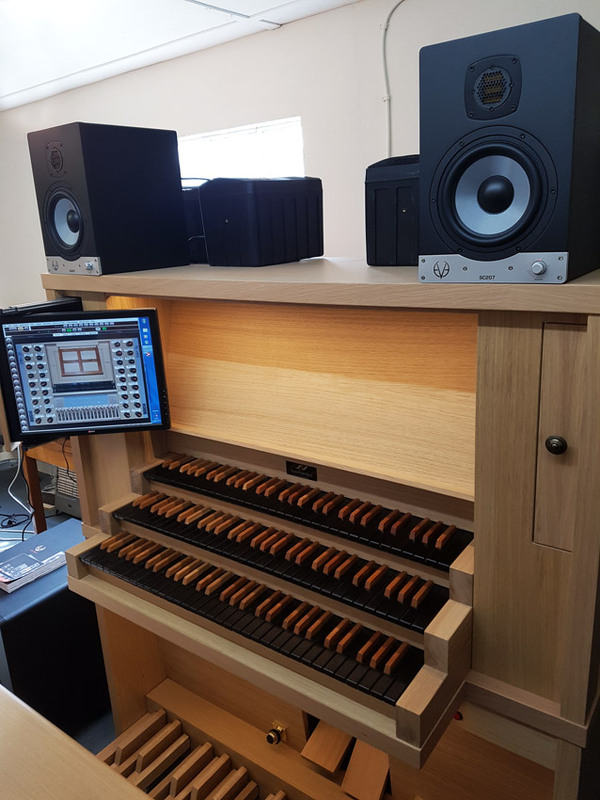 The system is housed in a selection of refined wood finished cabinets, keyboard and pedals from Dutch company Noorlander, that work to the customers tastes and aesthetics, offering a wealth of bespoke upgrades and finishes. Powering the system sound requires a solution that can translate the subtle and extensive range of voices generated by the virtual system without losing the purity of the sound through distortion. EVE Audio Speakers are offered as a package option for rooms and church spaces upto a certain size. 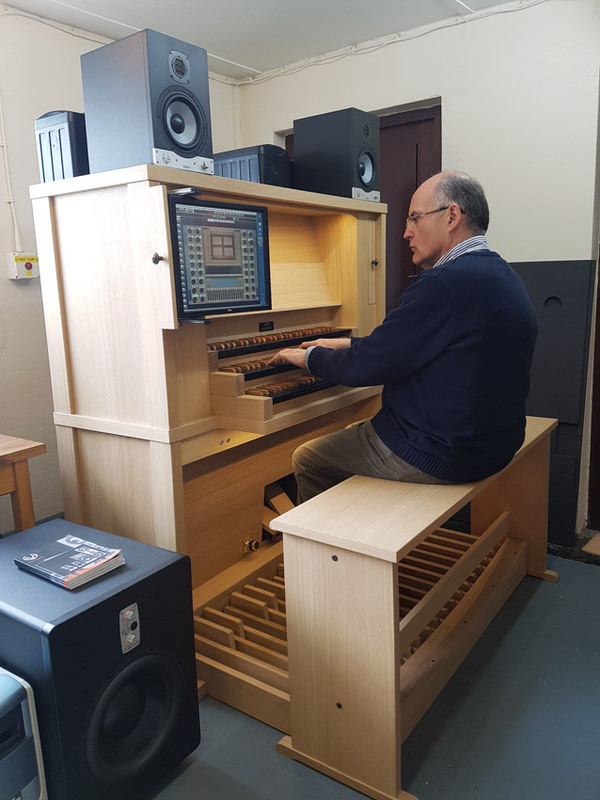 Owner Nigel Stark comments, "We have found that Eve Audio active monitors and sub woofers provide the quality refined sound and reliability that we demand for our installations. The range of sizes available gives flexibility for different applications." 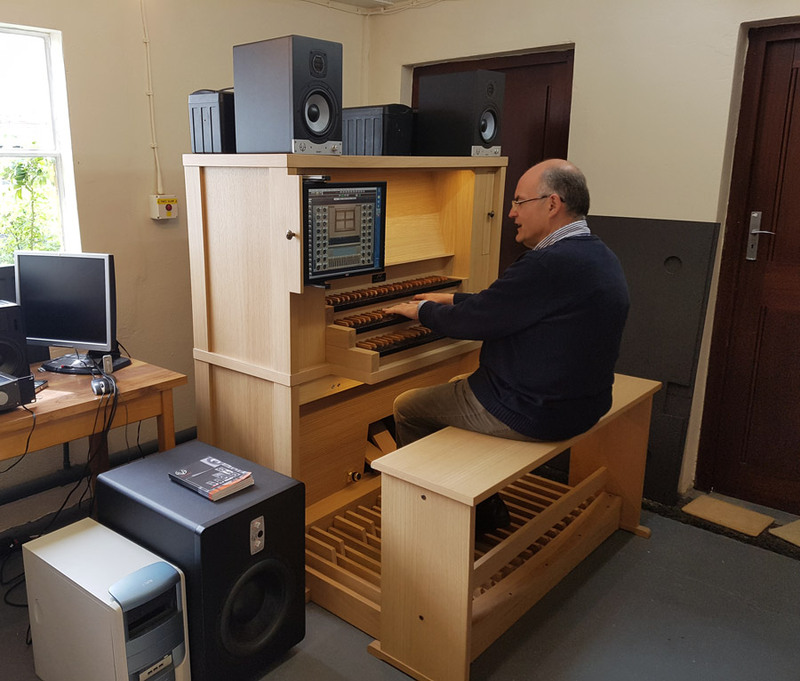 Nigel's own demonstration model includes a pair of SC207 monitors that are used for the main left right front stereo sound and a pair of SC205s that are used to playback surround sound ambience channels from the Virtual system. Working alongside these are the EVE Audio TS112 ThunderStorm subwoofer capable of producing accurately and smoothly the lowest pipe tones in the register. The EVE Audio package incorporates Air Motion Transducers to represent the high frequencies very efficiently without distortion. 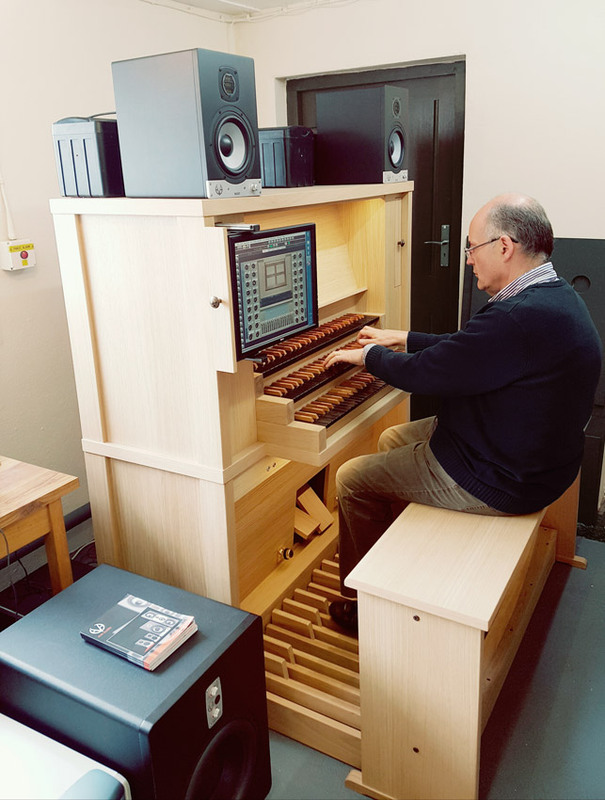 This results in a pure and natural playback of the notes of the virtual organ without the distortion found in typical small PA speakers. EVE's TS112 Active Subwoofer extends down to thunderous 24 Hz capable of delivering the powerful low end sound needed for the largest pipes in the organ.